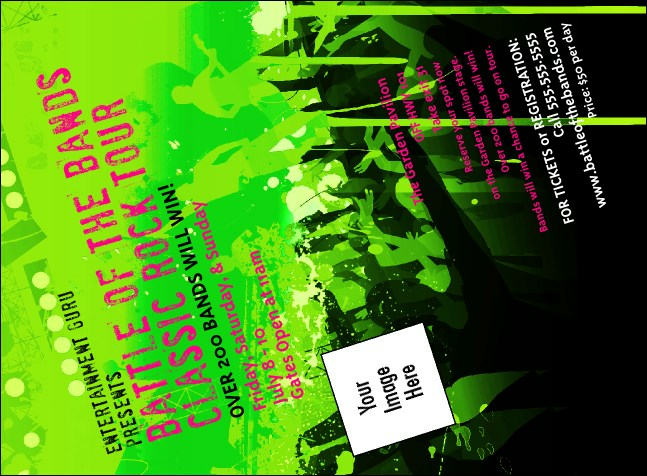 You don't need to be Green Day to put on a golden show, just get a head start on stellar ticket sales with the Rock Concert Green Invitation, in dazzling emerald with a silhouette of the band getting ready to rock out. Just enter your event information and upload your own custom image to our ticket template file. TicketPrinting.com tops the charts with the right Event Kit for every occasion.